Becoming a member of the Shambhala Meditation Center is a statement about your personal inspiration, curiosity, and commitment to the path of awakening. It means participating in a community of practitioners who aspire to relate to each other with honesty, warmth, and openness. We inspire one another to deepen our practice of mindfulness, awareness, and compassion. We also provide each other an opportunity to practice compassion and patience. We invite anyone interested in the Brunswick/Portland Shambhala Center to consider becoming a member. 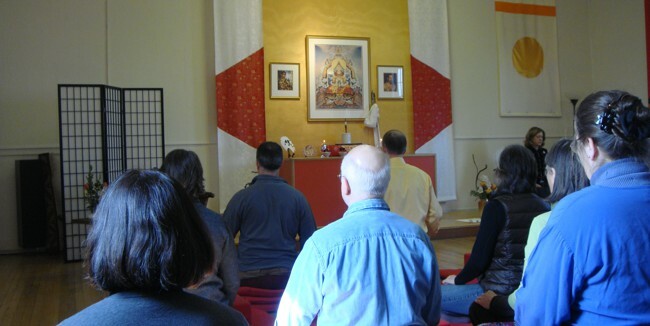 Becoming a member of our Center simultaneously brings membership in Shambhala, a global community committed to cultivating mindfulness, awareness and compassion―personally and in society. We rely on membership dues to pay our basic operating expenses and view financial giving as part of our practice as well. Suggested dues are $20 per month, and the suggested level of support to the Shambhala global mandala is $10 per month. Members are welcome to give more or less than these amounts as they feel inspired. If you have further questions please contact Kathy Meade at KathyMeade.Membership@MaineShambhala.org.